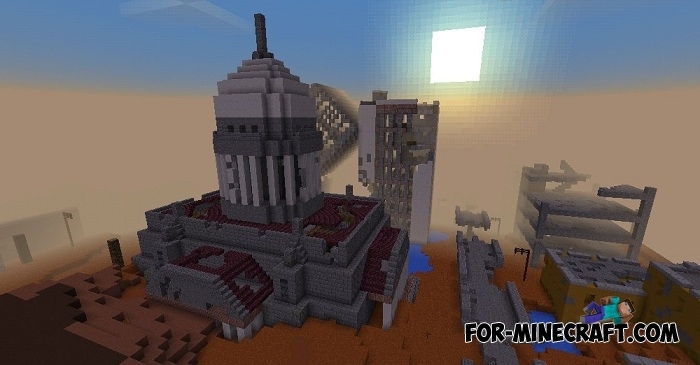 The World Apocalypse is a vast and huge map with three big cities located in different biomes. 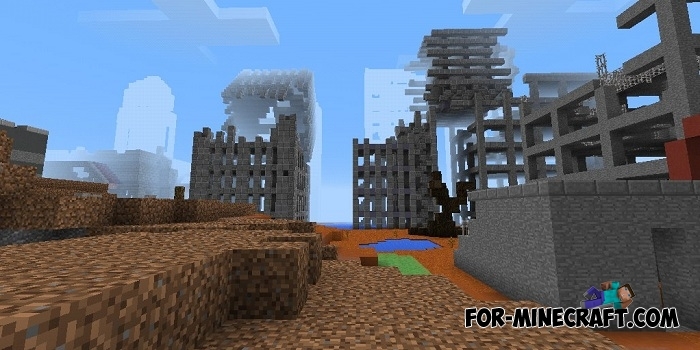 The dead city is located in the overgrown part of the map in an oasis surrounded by a desert, you will find huge mutated trees and mushrooms there. 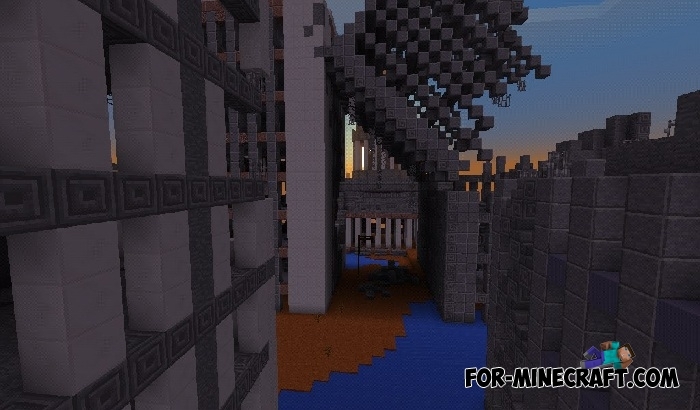 The desert biome occupies most of the map where the largest city is located, most buildings of this city are covered with sand up to the second floor. 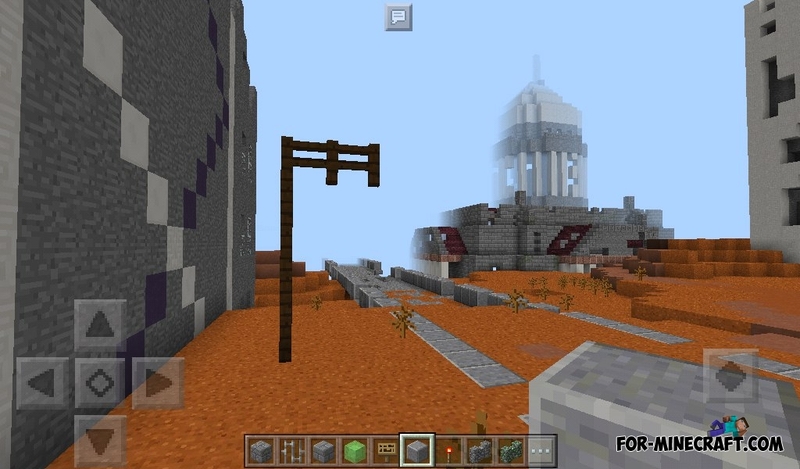 The second unique biome is mud mixed with sand and clay where you will find plutonium lakes. Finally, the Flooded city is located in the sea, its skyscrapers still stick out of the water. An interesting story is prepared especially for those who are hungry for a new, enjoyable game! 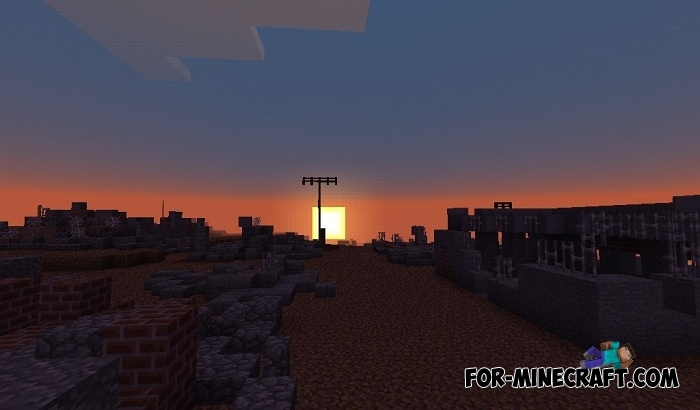 Apocalypse Manatory map v2 for Minecraft PE 1.1Apocalypse Manatory is a large map where you will find the two cities with provincial highways, tunnels, bunkers. 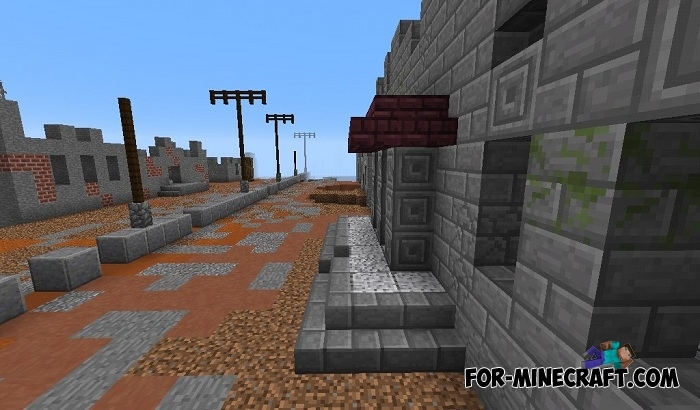 Dead mod for Minecraft PE 0.14.1/0.14.0After installing the Dead Minecraft PE mod, you get various new zombies, towns, and different items. If you're a fan of the Dead Island then you will see the similarity of new creatures with original.